Hi my name is Samantha and I live in South East London and I’m sure I can give you the most amazing treatment dependent on your requirements. I have worked and travelled abroad for many years where my interest in complementary therapy began. I had the opportunity to experience various types of bodywork and healing. I am very passionate about what I do and find myself constantly rewarded by the results my clients achieve. I also pride myself in offering a very professional, confidential and friendly service which is integral in working for Dr Dot. 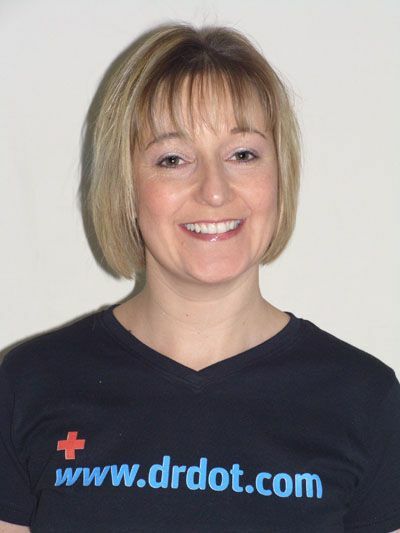 I am a full time advanced massage therapist, working from my own clinic and also running a mobile service. I tailor each treatment to the specific needs of the individual client, integrating deep tissue massage, remedial massage, and trigger point techniques, Myofascial release along with Neuroskeletal re-alignment therapy, Reiki and Indian Head massage. I treat people with a wide range of conditions, from back pain, sciatica, repetitive strain injuries, arthritis, and headaches to depression, stress, and insomnia to people who just want a relaxing massage. Dr. Russ with Progressive Healthcare and Comprehensive Health Associates, was the first doctor in the state of N.J. and the second in the entire nation to acquire the DRX9000 system to treat low back pain. Because of having successfully treated thousands of low back patients, he was chosen to be one of the first doctors in the United States to acquire the DRX9000C Cervical Decompression Device to treat chronic neck pain. Progressive Healthcare and Comprehensive Health Associates also offer the latest techniques in physical therapy to treat a variety of sports and orthopedic conditions including utilizing the latest in cold laser technology and advanced physical therapy procedures. Dr. Russ is certified as a training doctor in decompression technology for the Northeast United States and has trained numerous medical specialists including Orthopedic Surgeons, internists, rheumologists, chiropractors and other healthcare specialists. Dr. Russ has been involved with the DRX9000 since its inception and is one of the doctors with the most extensive clinical experience in the United States. Dr. Russ was chosen to receive the first FDA cleared cervical decompression system, the DRX 9000C, from among over 100 doctors across the United States because of his commitment to clinical excellence and cutting-edge technology. Dr. Russ was the clinical director of First Choice Rehabilitation Center of Virginia for five years where he directed a multidisciplinary staff of Chiropractors, Medical Physicians, Massage Therapists and Physical Therapists. He was also the treating chiropractic physician for Gold’s Gym in Arlington, Virginia. My name is Becky and I live near Milwaukee, WI. I attended Onondaga School of Therapeutic Massage in upstate New York and have been nationally certified since 2001. In addition to massage therapy, I also have an Associate Degree in Applied Science/Medical Option. I’ve lived in Buffalo and Syracuse, NY; Pittsburgh, PA; and Minneapolis, MN and enjoy traveling and spending time with my family. 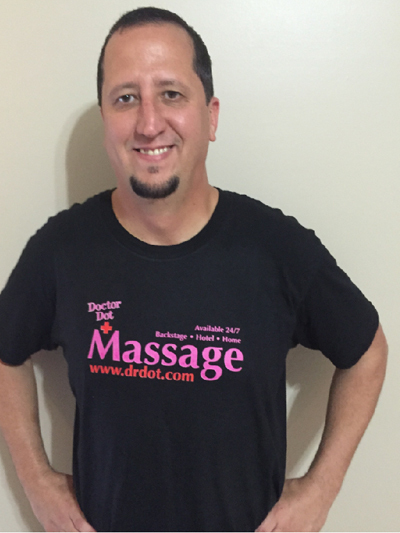 I use a combination of massage techniques including deep tissue, swedish, and trigger point therapy and believe that each individual massage depends on my client’s specific needs. Massage should be enjoyable and relaxing while also providing healing and therapeutic benefits. Many of my clients have said that I’ve ruined them for any other massage therapist because I give the best massage they’ve ever received. I have several clients who come to me specifically for fibromyalgia, low back pain, neck pain, headaches, stress, chronic pain, etc. 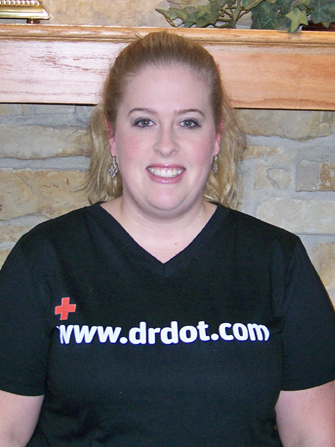 I have worked successfully in chiropractic offices, salon/spas, hospitals, fitness centers, and on-location. I am punctual, dependable, and am able to deliver an awesome massage with confidence and competence.